In the clinic we accept pets in our three veterinary offices. Each of the office is air-conditioned and in addition to the necessary medical equipment, it's equipped with a bowl for a dog or a cat and your pets can receive hand-made dietary biscuits from the vet. Thanks to this, the veterinary visit runs stress-free and the veterinarian is associated with pleasure. 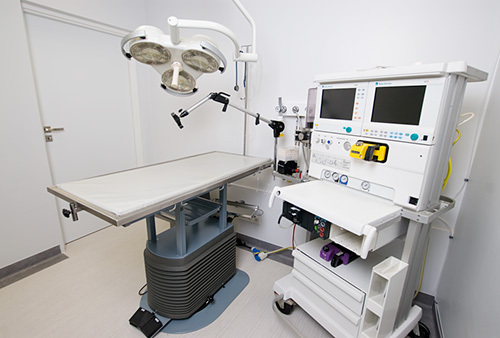 Specialist offices are equipped with the necessary equipment for veterinary specialists in dermatology or ophthalmology. 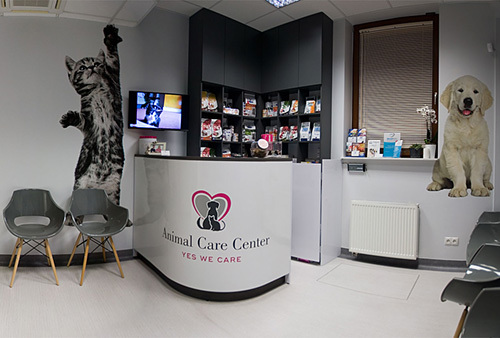 We invite you with your dog or cat for an appointment at the Animal Care Center - Wilanów vet. Patient's safety is our priority. 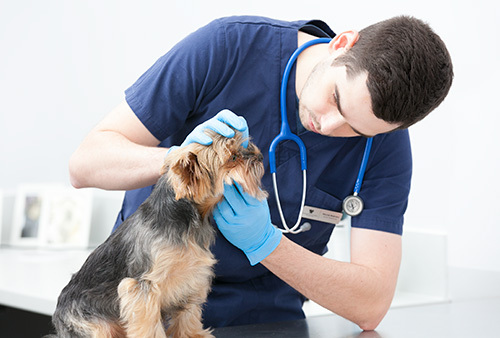 Therefore, the care given by an anaesthetist even during a simple treatment of a dog or a cat is standard with us and the treatments are performed under inhalation anesthesia. It is currently the most modern and safest anesthetic system used in many renowned clinics around the world. The operating room is equipped with specialized apparatus that doses the anesthesia and monitors the vital parameters of the patient's life. The room also has a modern installation of medical gases that continuously supplies the necessary gases. Inhalation anesthesia is the least harmful to the patient's body, at the same time it provides a very rapid induction of anesthesia and a very quick awakening of the patient from narcosis. Administration of anesthesia by inhalation allows continuous, precise control of the depth of sleep in contrast to anesthetics administered in the form of intramuscular or even intravenous injection. A modern RTG for a dog or a cat has been installed at the Animal Care Center Wilanów veterinary clinic. Digital equipment allows the veterinarian to quickly and accurately take X-ray pictures. The installed software allows the physician immediate access to the test results stored in the digital archive. 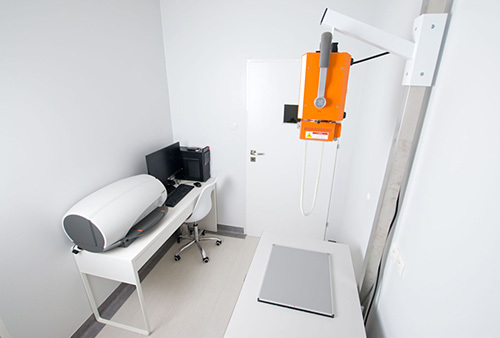 Our X-ray apparatus meets the most stringent safety requirements, enabling us to obtain the highest quality images with the minimum dose of radiation absorbed by the patient. At the Animal Care Center clinic, you can also label your dog or cat - insert a chip (so-called chipping) and register a dog or cat in international animal bases. We prepare dogs or cats for foreign trips, in particular, we perform necessary vaccinations and diagnostics. 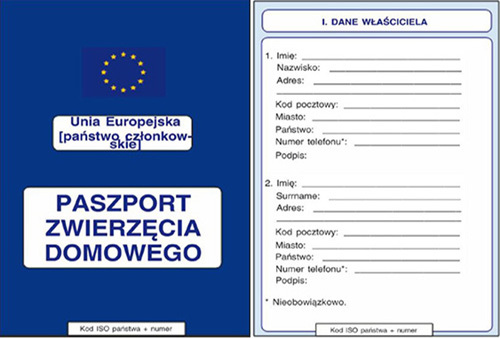 As a result, a dog or cat passport is issued so as to ensure the possible foreign trip of the pet. There are also obligatory and additional vaccinations of dogs and cats, for example against rabies or infectious diseases. The reception of Animal Care Center Wilanów Veterinary Clinic, will provide you with all necessary information. At the reception you can also buy Farmina dog and cat food. There is a specialist line available - Farmina Vet Life "Natural Diet" first fully natural as well as standard Natural diets. Our partner is a trainer/behaviorist Agnieszka Osija - Oczami Psa. We are also on Woofy. We, MVD. Kamila Poleniewicz and MVD. Maciej Wątroba invite you and your pets to our clinic.